Thanks to a mysterious stranger who left a note in a secondhand copy Cook’s Illustrated, my quest for the perfect cinnamon roll has ended. This might sound too good to be true, but these quick cinnamon rolls with no yeast come together in about the time it takes to make biscuits. They are deeply flavored with buttermilk, vanilla and brown sugar, and have a nice height and texture. As a bonus, the recipe adapts to whatever size you need. You can double it very easily for a larger group, but if you’re a party of two or three, you may like the recipe as I’ve written it, which makes 4 rolls. But let me back up a little bit. I own almost every issue of Cook’s Illustrated and even though I don’t always follow their directions precisely, I learn so much through reading. I never would have thought a cinnamon roll made with no yeast would be very good, but an article in the May/June 2002 issue explained that a combination of baking powder, a little baking soda and a good amount of buttermilk would give you a dough that would rise nicely with just the heat of an oven. And then of course there was the note from the nice person who donated the magazine to the used bookstore validating that claim. I vowed to make the rolls the next morning. But some changes were in order. I’ve made enough cinnamon roll fillings to know I like a mixture of brown and white sugar, so I used a tad less brown sugar. I also halved the dough recipe, and used my favorite pure vanilla icing recipe for crowning touch. It comes together in about 2 minutes and really highlights the flavor of good vanilla (I like Nielsen Massey and Sonoma Syrup Vanilla Bean Crush), so even if you don’t like the rolls for some reason, you may like the icing. The ease of which these came together was impressive, but Todd, Fuzz, Lizzie and especially HAL (who goes nuts whenever I bake sweet yeast bread — I discovered this back in the kolache making phase) thought these were just as good as more time consuming cinnamon rolls. It may be too early to say, but there’s a good chance these will be in next year’s top 10. 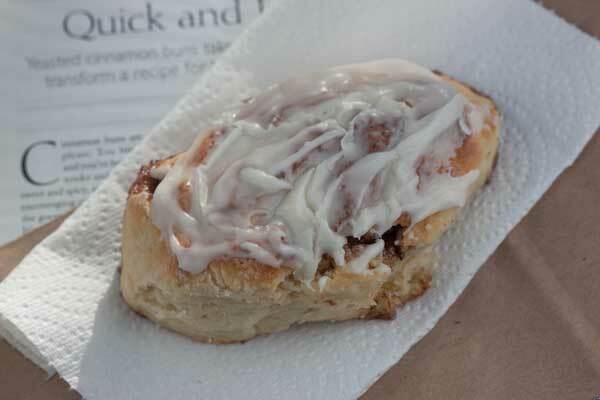 Quick cinnamon rolls made without yeast! These cinnamon rolls are unbelievably good for so little effort. I think they're better than a lot of the more time consuming rolls. Preheat oven to 425 degrees F and line an 8 inch square pan pan with nonstick foil or parchment paper. I find nonstick foil a little easier to work with. In a small bowl, stir together both sugars, cinnamon and salt. Add the melted butter and stir until mixed. Set aside. In a mixing bowl, stir the flour, sugar, salt, baking powder and baking soda until uniformly mixed. Mix 1 tablespoon of the melted butter in with the buttermilk and add to the flour mixture, stirring to form a soft dough. Scrape the dough onto a floured work surface (I use a big cutting board) and knead a few times until it is less scraggly. Use your hands to press it into a rectangle that is 9 inches high and about 6 inches across. Drizzle another tablespoon of melted butter across the rectangle and spread evenly, then sprinkle filling evenly over butter. Starting at the short end, roll into a tight cylinder. Cut into 4 equal rounds and arrange cut side up, sides touching each other, in the pan. Spread final 1 tablespoon of melted butter over rolls, making sure to cover sides that are exposed to air. Bake rolls for about 25 minutes or until lightly browned. 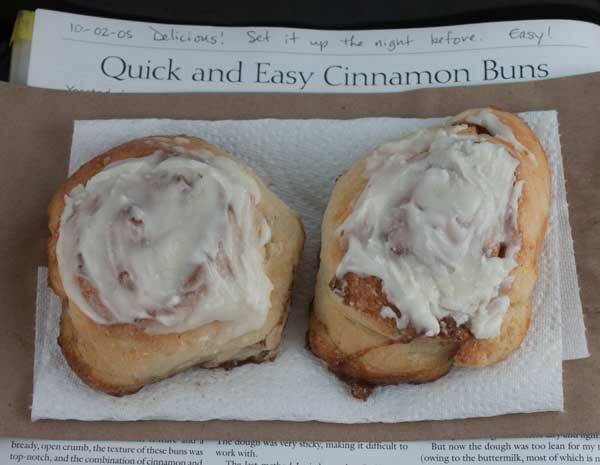 Carefully separate the warm rolls and transfer warm rolls to a sheet of foil or parchment to be iced. Make the icing. In a 2 cup Pyrex measuring cup or a deep, small bowl, combine the melted butter (I just melted mine directly in the cup), powdered sugar and vanilla and stir until thick and crumbly. Add 1 tablespoon of the milk or half and half and stir until smooth, adding more milk as needed to make a smooth, spreadable icing. 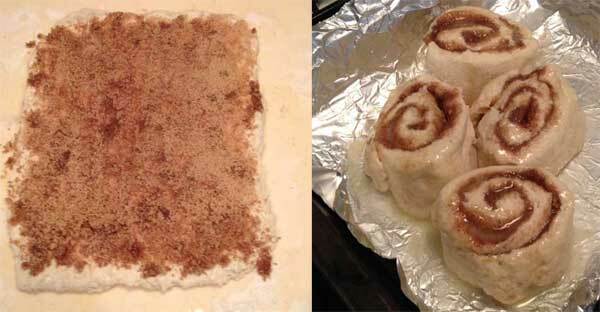 Spread icing over warm cinnamon rolls and allow it to melt slightly from the warmth of the rolls. Notes: You need 6.25 ounces of flour, which means the volume measurement could be anywhere from 1 ¼ cups to a generous 1 1/3 cups. It depends on the moisture level and protein in your flour. For best results, always weigh flour. This icing is super simple! Just melt the butter in a microwave-safe glass measuring cup, add powdered sugar and vanilla and stir until thick, then gradually add your liquid until you have the perfect consistency for glopping onto the rolls. Double the filling and dough recipe and pat the dough into a rectangle that is 9 inches tall and 12 inches across. 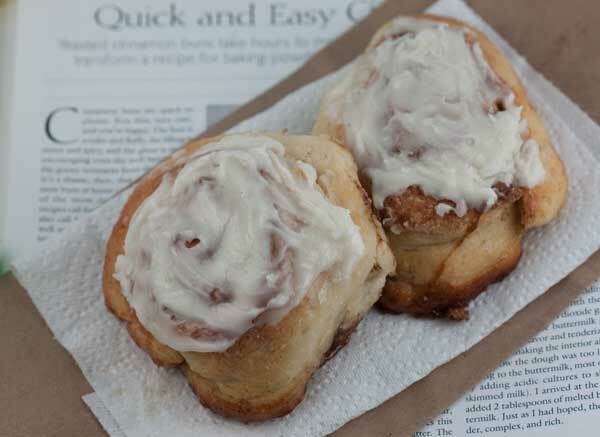 You don’t need to double the icing. Just use 1 ½ tablespoons of butter, 1 ½ cups powdered sugar, about ½ teaspoon vanilla and about 1 ½ tablespoons of milk plus more as needed. Thanks for the review! Glad you liked them (and the dough!). YUM! While they were baking, I was worried that only 4 wouldn’t be enough and I’d feel bad when my boys whined that they wanted another. But they are rich/dense enough that I can’t even finish mine (of course, I *may* have consumed some of the dough that stuck to the side of the bowl, preemptively filling my belly a bit). The kids gave them “10 thumbs up” and I’ll definitely be making then again! I made these this morning and we liked them a lot and I would make them again. I don’t think they’re a replacement for yeast cinnamon rolls but they are very good in their own right and I’m happy to have this recipe for those times when you want a breakfast treat but didn’t plan ahead. Shannon, thanks! Now we have the answer to June’s question :). I made these today, and used soured milk. They were lovely, and I will make again and again. Can’t believe how quick they were to throw together! I’d buy some buttermilk because the buttermilk adds a lot of flavor. However, if you want to make these right away and don’t have the buttermilk, then yes — I’m sure it would work. And I’m sure they’ll taste good even without the buttermilk flavor. Let us know how it works out! Sue, maybe she’ll see this and answer. I took it to mean assemble the night before — roll up, slice, put in pan etc. then bake in the morning. In Amy’s note at the top of the page she says set it up the night before. I wonder what she means by that? Measure out all the ingredients or actually mix them up the night before and then bake in the morning? I will have to make these sometime. I love it that the copy of CI originated with someone you know and that she left notes in the magazine. Awesome! You had me at the words “no yeast”. Meredith, yes. I actually made my first batch with powdered buttermilk. The dough was a little scragglier, but the rolls were delicious and they rose just fine. 4 tablespoons powdered = 1 cup buttermilk, so you’ll need to use 2 tablespoons plus 1/2 tablespoons (2 1/2 tablespoons total) of powdered buttermilk. What I did was I mixed the 2 1/2 tablespoons of powdered buttermilk with the dry ingredients then added 1/2 cup plus 2 tablespoons water. My buttermilk powder dough was wetter and harder to work with than the second batch in which I used actual buttermilk, so you might want to put the 2 1/2 tablespoons of powder in with the flour mixture and start with 1/2 cup water before deciding whether you need those last 2 tablespoons. The dough should be sticky, but easier to work with after you’ve kneaded it on the floured surface. Also, there’s the issue of what to do with the melted butter. When I used the powdered buttermilk, I just put the 1 tablespoon of melted butter that normally gets mixed with the buttermilk in with the flour mixture and mixed it around before adding the water. 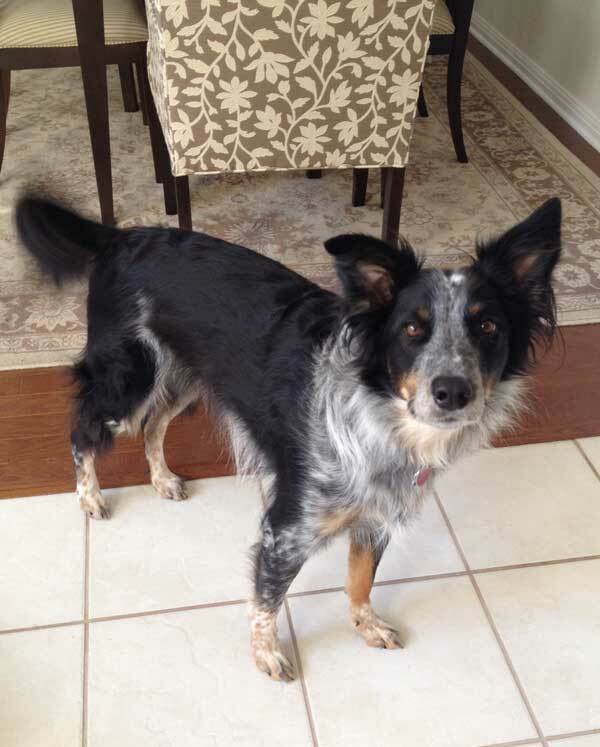 Anna – do you think that I could use powdered buttermilk here? Whenever I buy regular buttermilk for a recipe, I always find myself scrambling for other ways to use it up. I just purchased Saco’s powdered buttermilk, and it worked out just fine in my corn muffin recipe. Hope you like them! Just use 1/2 teaspoon (4/8) plus 1/8 of a teaspoon. I lost my 1/8 teaspoon measuring spoon so I just eyeball half of a 1/4 teaspoon measure to get the 1/8. I don’t think anything terrible would happen if you just used 1/2 teaspoon and added a pinch or just filled a 1 teaspoon measuring spoon somewhere between 1/2 and 3/4 full :). Every so often I’ll dip into a new bag of flour or flour that’s been sitting around and get a good 5 oz cup, but maybe since I (we) use so much flour, our flour is fluffier and more aerated? I don’t know. I always wonder why CI has maintained the 5 oz per cup. Thanks for the quick reply! I’ve used 5 oz. in the past and it has been way too much flour, but you’re probably right about how all over the map this is. All the good scales can switch back and forth, so metric doesn’t scare me. I use grams for cookies – it’s a lot easier to make 36 cookies at 33 grams, than try to measure 1.16 oz! Much appreciation for weight measurement in your recipes. Hi Ann! If you have a scale you don’t have to worry — just weigh out 6.25 oz. Volume is all over the place with flour and volume measurements are just so inaccurate. I almost always use 4.5 oz per cup, but CI uses 5 oz per cup. They must use heavy flour because over the years they’ve stuck with that 5 oz per cup measure. When I measure, provided I stir the flour and measure properly. Some days I feel tempted to just leave out the dumb volume measurements completely and use grams, but that would scare everyone away. Is your flour weight calculation 5 oz per cup? I use 4.5 oz. and the King Arthur site recommends 4.25 oz. Amy, that is so wild!! So you wrote the note? The date on your cinnamon roll post is the same date noted in my magazine. Lisa, thanks for the note! I thought I was going crazy thinking a super quick, no-yeast cinnamon roll was the best, but these really cover all the bases. Thanks for the tip on the icing. For anyone who reads this and wants to take Lisa’s advice, the other icing is a mixture of 2 tablespoons cream cheese, 2 tablespoons buttermilk and a cup of powdered sugar. They don’t add any vanilla. I, too, have made a lot of yeasted cinnamon rolls through the years, but once I tried this one from CI there was no turning back. Hands down our favorite and naturally I love it for its ease of preparation. Do try their version of the icing some time as we all love it! Oh Anna, how funny. I took those magazines (and a bunch of cookbooks).